St. Luke’s Park is an attractive new community with a rich infrastructure of communal open spaces, containing rich green meadows and thriving wildlife. 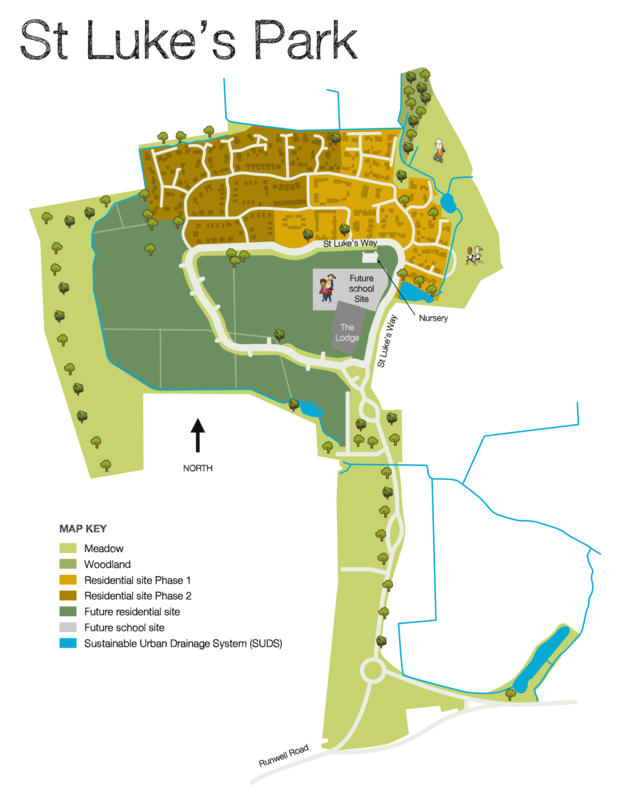 The green space has been developed to create a great place for residents to live and prosper, and fulfil a whole range of shared functions such as providing safe pedestrian and cycle access routes, allowing for sustainable drainage and creating leisure and social opportunities, all for community benefit. To contact the Land Trust about this site or how we could help manage your space please email our Estates Manager Lauren Hull	.